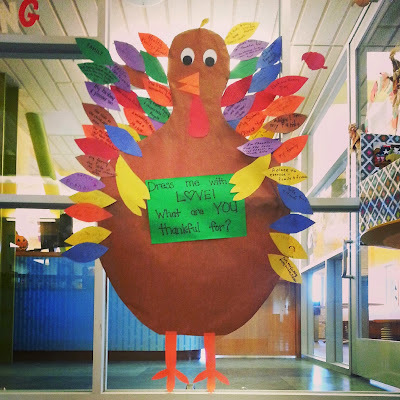 Our Thankful Turkey is getting warmer but there is still a chill in the air. Help us make him wider than he is tall (he's almost 6' tall)! Pick up a feather at the front desk of the Wylie Recreation Center and share what you are thankful for!